Apple Music offers a three month free trial to experience and explore the service, but at the end of that Music trial you will be automatically renewed into a $9.99 per month subscription service. For many users, they’ll appreciate leading into a subscription after their 90 day trial period is up, but for some other users they may wish to prevent the Apple Music subscription from automatically renewing. Other users may have turned automatic renewal off, but wish to enable it so that they can seamlessly enjoy Apple Music the subscription service. Whatever the automatic renewal setting is toggled to will determine if the associated Apple ID credit card is billed each month for the Apple Music subscription service. For a single user, that’s $9.99 per month, and for a family, it’s $14.99 per month in the USA. You’ll discover the settings will also let you know when the free trial of Apple Music expires, which is 90 days out from when you first started listening to it. 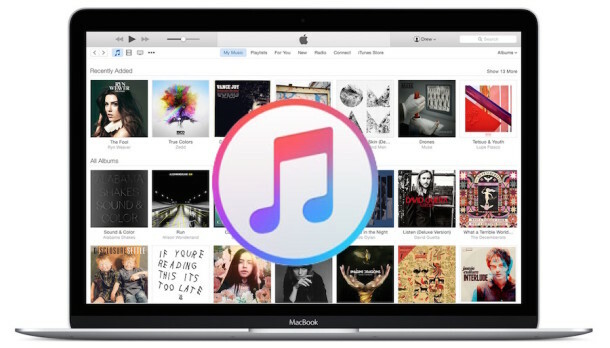 For those who started using Apple Music on the day of iOS 8.4 and iTunes 12.2 release, that would be September 30, 2015. And for those wondering, no, you do not need an Apple Music subscription to continue enjoying the iTunes Radio streaming feature on iOS Music app or iTunes on the desktop, they are entirely different services that are independent of one another. I presently have a subscription to iTunes Match and am confused as to what to do with it. Pay for both gets me what? 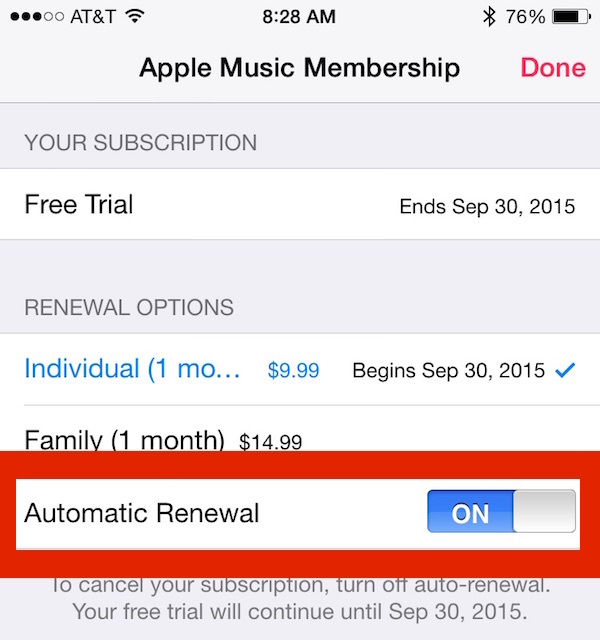 You cancel your subscription with iTunes Match if you subscribe til Apple music. Ok, I hear you. Thanks. No Way Do I like the semi scams of a “Free” Issue of anything that attempts to make an Automatic Subscription – Free should be “FREE” and that’s it! It is free its only a couple of tap’s on the keyboard to deactivate automatic renewal. I don’t understand Apple Music and I think it’s an annoying takeover of the Music app, which I want to use for iTunes Radio and for playing my own music. Why would I pay a subscription fee for paying my own music? That makes zero sense. No thanks. I won’t be updating one of my devices beyond iOS 8.3 because I want to avoid the Apple Music annoying thing. Don’t want the service, want to disable it completely! I have another device with iOS 9.1 and it’s got the Apple Music thing, which I do not like at all. And Beats 1 radio is aimed at 12 year olds, it’s all rap pop garbage. Yea sorry kiddo, I’m not paying for this for you either! You can listen to some real music or pay for it yourself! It’s quite simple really all the other radio stations are there. You don’t have to listen to Beats 1. You can listen to your own music without subscribing to Apple music. I can’t sign in Apple ID in my iPhone 4s. How can I get my new Apple ID to set up in iTunes and App Store?